Why do agents have a hard time delegating effectively? The main reason appears to be that agents do not want to relinquish control. Some agents are afraid to allow anyone to assist them out of fear that the client will not be treated properly or the paperwork will not be done according to their standards. In other words, the agent feels certain they can do the work better and they have to protect themselves from the possibility that mistakes may occur. This creates a scenario that is almost sure to fail, because either the task never gets done, or the agent unnecessarily continues performing the task. 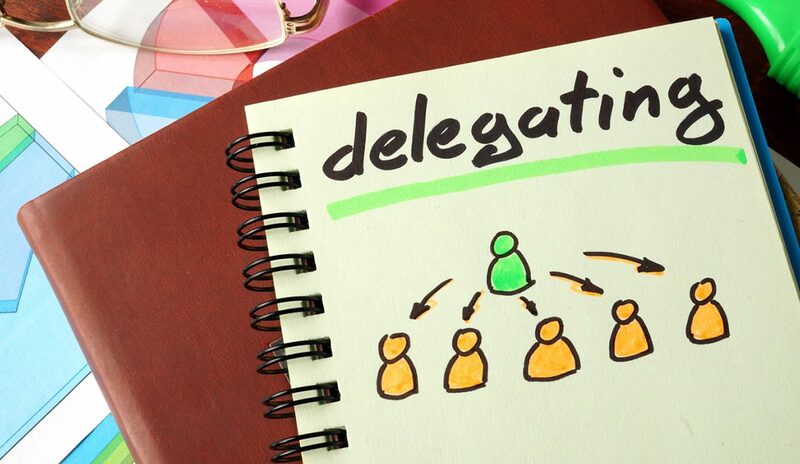 Delegation allows you to devote energy to more important or high-priority activities. Delegation fosters team-building by developing in others a sense of belonging, importance and success. Can a team member be given the needed information and training to successfully complete the task? Does a team member already have the needed expertise for this task? Is this a less-than-essential task that requires skills you do not have? More often than not, this would likely be something that is technical in nature. Should you delegate this task? You have to carefully consider the risk of failure. Would a failure be irrecoverable? How much would failure impact other things? Is this an essential task that is critical for you to perform? Is this a high-priority activity that requires your attention? After listing your tasks in the proper categories above, take immediate action to eliminate the unnecessary jobs. It is common for work to continue simply because it has always been done, rather than because it must be done. Then, concentrate your attention on the tasks that need to be simplified. Invest in the time now to streamline the procedures and processes of how the work is done. Next, you can use the list of “tasks others can do” as a starting point to develop a job description for the team member you plan on hiring. Finally, review the tasks that you must do personally and consider that these should be the elements of your job most critical to success, and should fill the major portion of your time. Delegate tasks in which 80-90 percent efficiency is acceptable. Debbie De Grote is the founder and owner of Excelleum Coaching and Consulting.